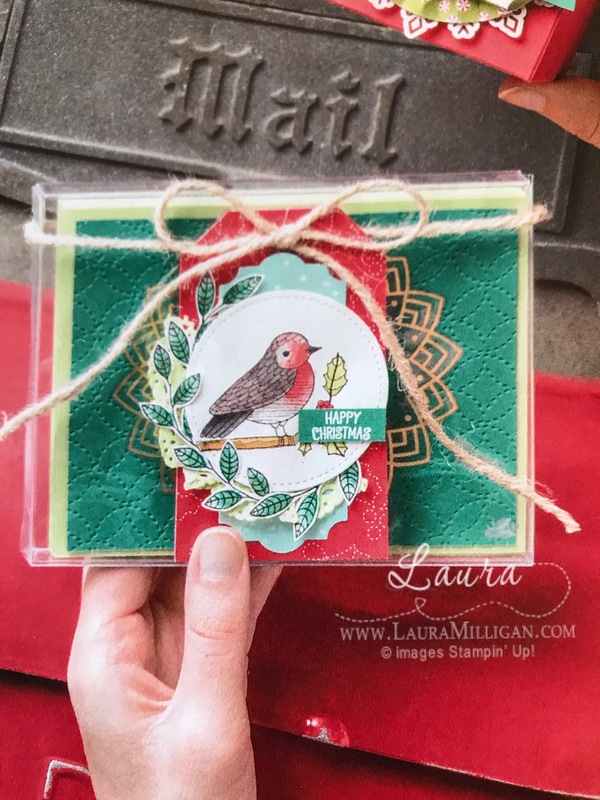 Laura Milligan, Stampin' Up! Demonstrator - I'd Rather "Bee" Stampin! 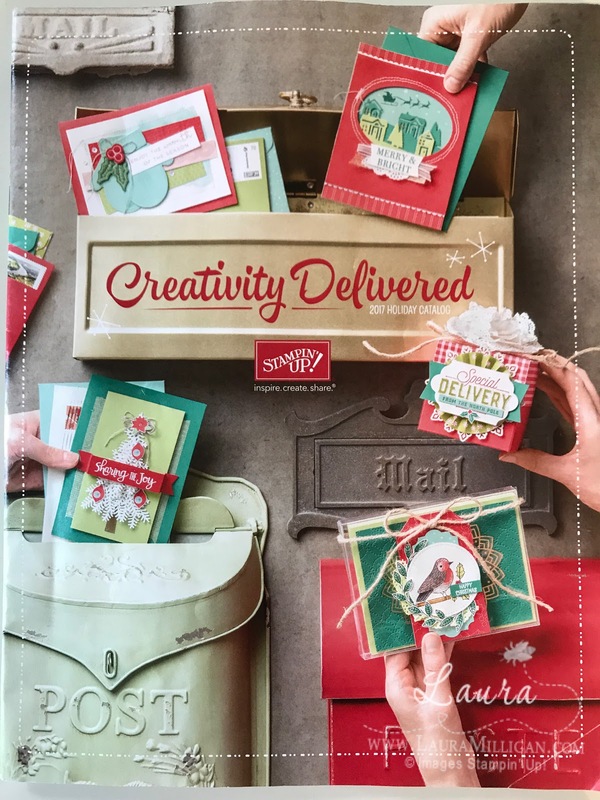 : Holiday Catalog! One of the many perks of being on the Thailand Incentive Trip is that we were treated to our own copy of the "hot off the press" 2017 Holiday Catalog. We were the very first to get a copy of the catalog - and it was very exciting! 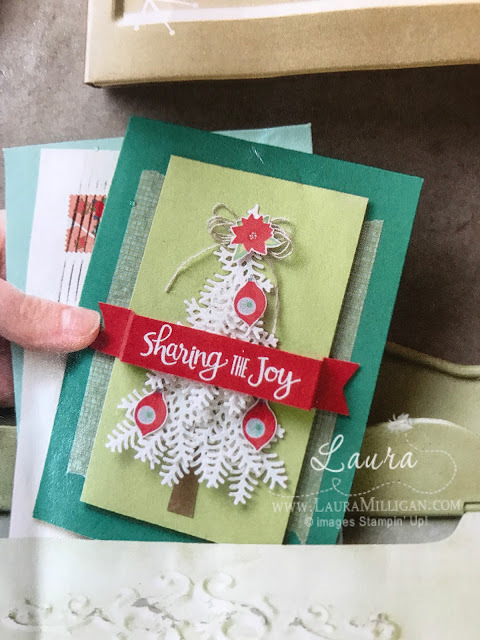 Today I 'd like to give you a sneak peek at what the catalog cover looks like - and share a few glimpses of things to come! Per Stampin' Up! policy I can't share anything from the inside of the catalog just yet - but there's plenty to see on the cover! 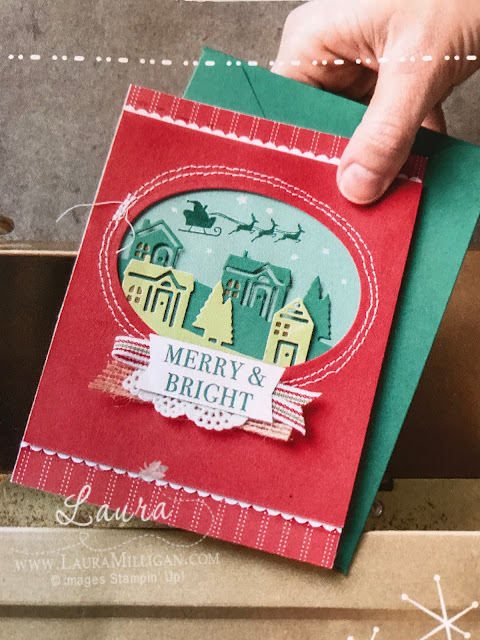 Look at this darling Christmas scene - created with Hearts Come Home Bundle -which includes the Hearts Come Home stamp set and Hometown Greetings Edgelits dies. Who wouldn't love a gift presented in packaging like this? It's a present in itself! 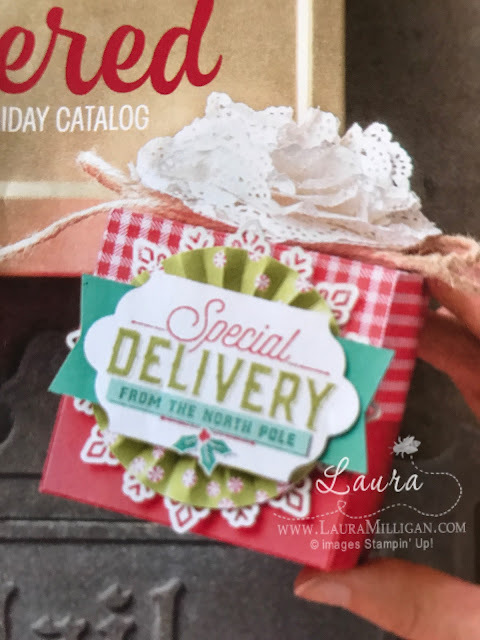 The stamp set featured in this cute project is the Merry Little Labels and check out the coordinating new punch - the Everyday Label Punch. As you can see, just from these images from the cover of the holiday catalog, there are some amazing new products coming! Shop with Me! If you don't have a Stampin' Up! demonstrator, I would be honored to serve as yours! Just click below or on the shopping cart on my side bar to visit my online store.